Hugh's Mechanical Equipment is a company that takes personal pride ensuring that every customer receives the highest level of superior customer service. We have experienced NACE Certified testers which provide accurate test results and Complete Certified Reports. Most cathodic protection systems installed on underground storage tanks contain two or more 17-LB magnesium sacrificial anodes that are directly attached to the tank shell. Sacrificial anodes are pieces of metal more electrically active than the steel UST. Because these anodes are more active, the corrosive current will exit from them rather than the UST. Thus, the UST is protected while the attached anode is sacrificed. These anodes are generally welded to the ends of the exterior tank. There is normally a test wire cad welded to the tank and brought up to grade for testing voltages. Test voltages are taken by shorting the inside of the tank and placing a copper/copper sulfate reference electrode cell between a high impedance test meter and the tank. 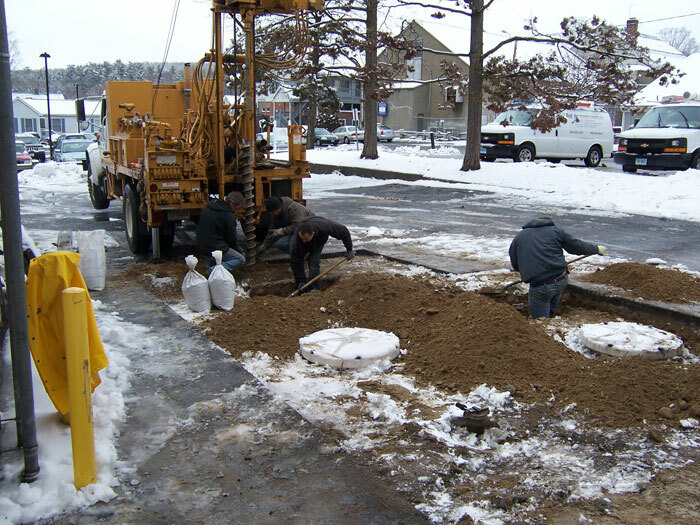 A structure to soil measurement of at least minus -.85 volts must be maintained between a copper-copper sulfate electrode and the structure being tested for a proper working system to be in compliance. For larger tanks or tanks that are heated, sacrificial anodes may not deliver enough current to provide complete protection. Impressed current cathodic protection systems are commonly used where there are increased current requirements for corrosion protection. 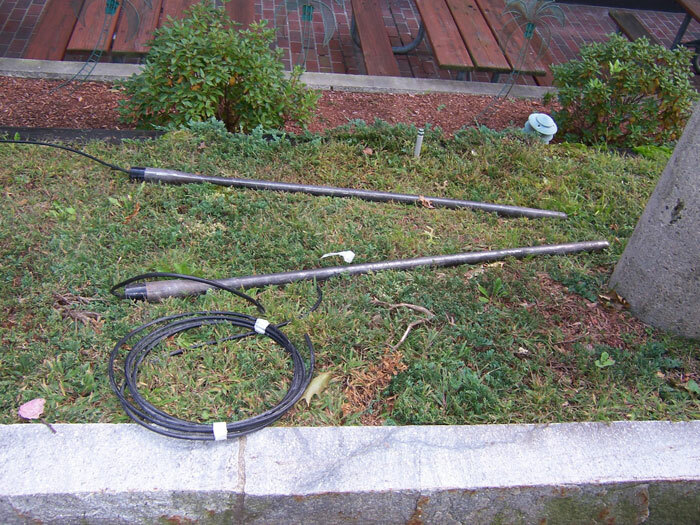 Impressed current cathodic protection systems use anodes connected to a DC power source. Usually this will be a cathodic protection rectifier, which converts an AC power supply to a DC output. This current is sent through an insulated wire to the anodes, which are special metal bars buried in the soil near the UST. The current then flows through the soil to the UST system and returns to the rectifier through an insulated wire attached to the UST. The UST system is protected because the current going to the UST system overcomes the corrosion-causing current normally flowing away from it. 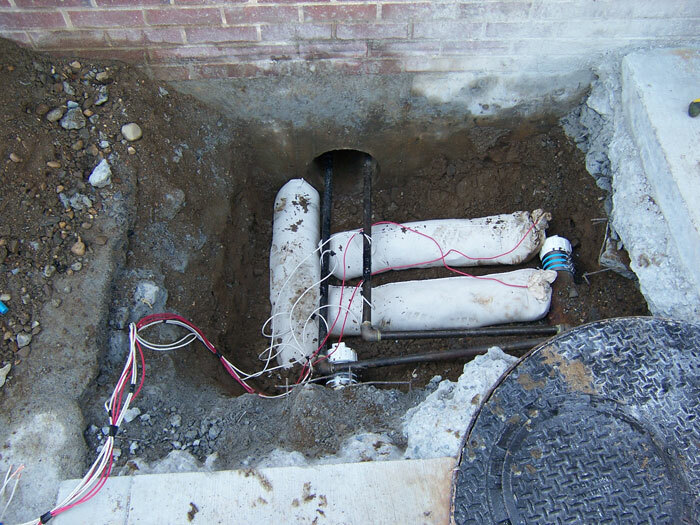 Annual cathodic protection compliance testing is mandated by Federal and State Regulations. Annual operational testing should be performed by certified tank corrosion specialists and must adhere to NACE International Standard Recommended Practices RP0169-96 and RP0285-96. In addition, you must inspect an impressed current system every 60 days to verify that the system is operating. Keep results of your last three 60-day inspections to prove that the impressed current system is on and operating properly. 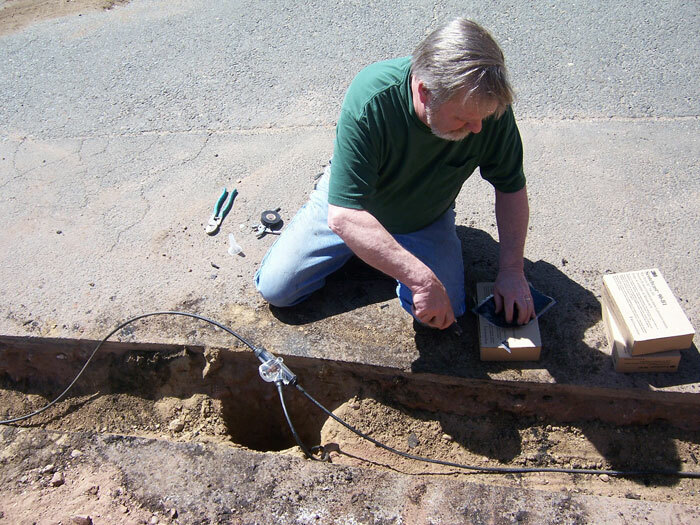 New and Upgraded cathodic systems must be tested within six months of installation and at least every three years thereafter. You will need to keep the results of the last two tests to prove that the cathodic protection is working. Did Your Cathodic Protection Test Fail? 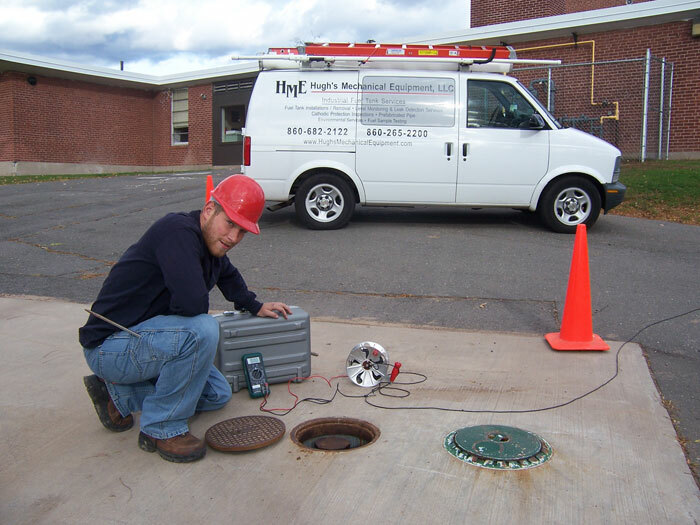 Hugh's Mechanical Equipment LLC has a team of expert engineers that can upgrade your system and give you a cathodic protection system that is properly designed, installed and commissioned, Based on the test results, it may be possible to retrofit the structure with supplemental anodes. STI-P3 stands for Steel Tank Institute – 3 levels of Protection. Level 1: All tanks are coated with a high-quality dielectric coating. Level 2: The tank is shipped complete with isolation devices to protect it from all other underground such as metal piping, hold-down straps, submersible pumps, etc. Level 3: The final measure of protection is the anodes. The anodes are made from metals that are more electrically active and, therefore, will corrode preferentially to steel. For a sti-p3 tank, this metal anodes will either be zinc or magnesium.